So I know that Canada Day was nearly a month ago but better late than never right?! 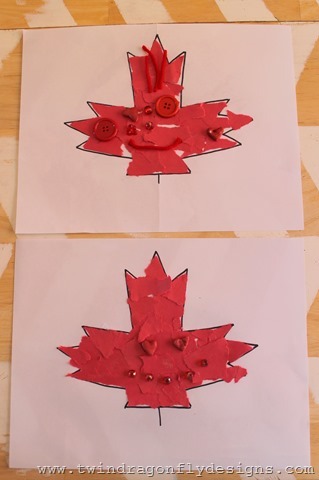 This was a quick craft that I set out for the boys on Canada Day. 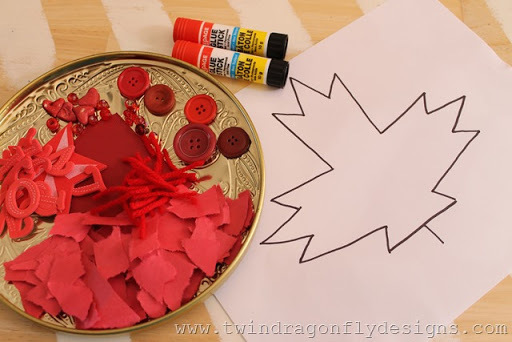 I sketched the outline of a maple leaf onto a sheet of paper and gathered any bit of red crafting material that I could find. 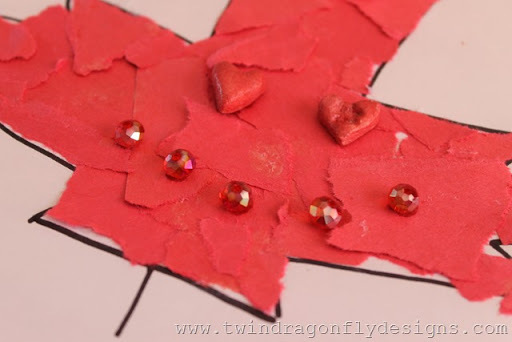 Then the boys glued the all of the bits onto the paper to create a red Maple Leaf. I love the happy face that Isaiah made. Way too cute! 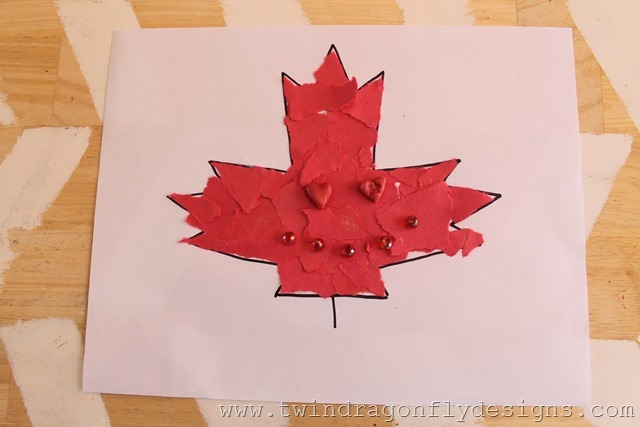 Happy belated Canada Day or early fall? !